Transport for London are likely not to change anything. Picture 2 – Share with pedestrians and then, who has priority at exit of rugby pitch? Picture 5 – Why should cyclists yield to waiting pedestrians? Pedestrians should wait either side of the track; cyclists should need to stop only when green man is on. Picture 7 – Why do they bother? Picture 8 – The ultimate insult: Dismount! Henry’s death highlights massive confusion in the design of safe road infrastructure and in the enforcement of laws requiring careful driving. Despite the confusion over priorities at this junction many cyclists will be disappointed in the failure of the police to consider there was a duty of care on the driver to look out for cyclists on the well used track which is plainly visible to drivers turning off the main road. Highway Code rule 183 says “When turning, give way to any vehicles using a bus lane, cycle lane or tramway from either direction”. However at this junction and at thousands like it formal priority has been removed from the cycle track with give way lines painted across the track. Unfortunately that layout was seen as a safe design without realizing that it requires cyclists to give way to faster traffic overtaking them from behind. 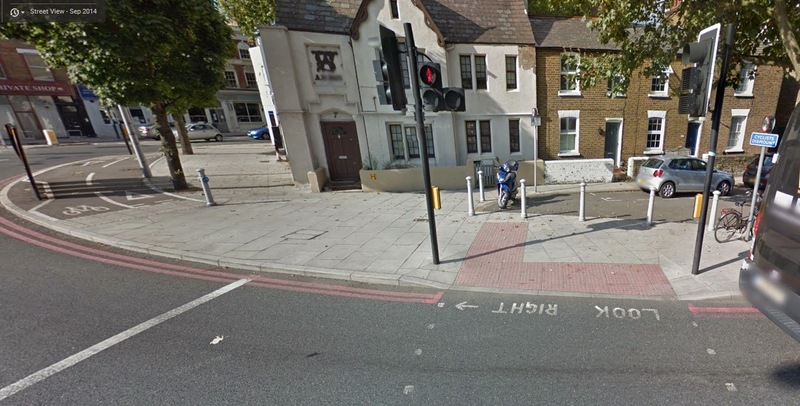 The latest advice from the London Cycle Design Standards (section 5.3.4) says the priority at this sort of junction should be reversed to reduce danger and “to offer the highest level of service for cyclists”. London Cycling Campaign’s local group has described the cycle track alongside the A316 as “the most dangerous cycle lane in Richmond” for the repeated use of this junction design. There is a 100% probability that someone is going to get killed on a cycle track like this. It is like having a live electric cable in the middle of a Regent Street pavement and then blame pedestrians for getting electrocuted, because they did not read the sign. Just another example that Transport for London kills by design. the Labour party is happy just to “promote” cycling and spend nothing on infrastructure. We all know who the beneficiaries of promotions are: consultants, printers, video makers. Vision Zero was invited to speak this week at a workshop for organisations involved in European Mobility Week. Twenty years ago European cities started having Car Free Days on 22nd September; that evolved into Mobility Week, which seems designed as a gift for UKIP to show how your tax money is wasted on promoting activities that people are not keen in doing, because much more money is spent to convince them to do the very opposite. The Conservative Party has pledged to spend £200,000,000 on cycling and £15,000,000,000 on motoring and £0 on walking. In other words, every year they plan to spend £0.62 per person on walking and cycling (and they have not specified if it is on infrastructure or on promotion) and £47 per person on motoring. This when the City of Copenhagen has shown that every km cycled benefits society, and every km driven places a cost on society. It will take them five minutes, twice corralled in the middle of the road, where pollution is highest, because the timing of the lights is programmed for the benefit of motorists, not pedestrians. A woman died here a few months ago, probably punished by a motorist for not waiting, i.e. for not knowing her place in society. 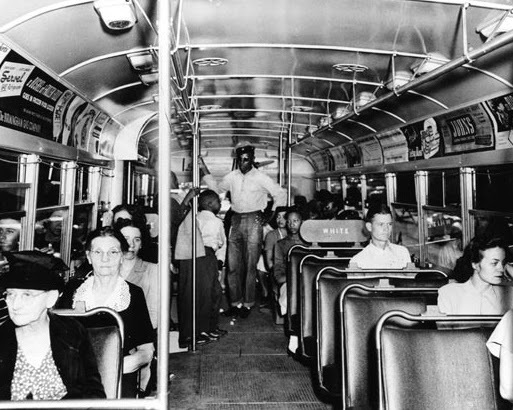 Black people in America had only one choice: rebel. People in the UK have a much easier choice: conform, get a car and join the rat race. People in Venice need no promotion to walk. There is just one way to increase the number of walking and cycling trips: make them safe, convenient and pleasant; that means designing cities where Active Travel is prioritised; and then we will discover that there is plenty of space at the front for everyone. 1. No-one should be forced to ride a bicycle on what is effectively a death trap. At the time, Camden Council was banning the use of a relatively much safer route, egged on by Transport for London, which was concerned that it would delay bus schedules.Camden Council was warned repeatedly of the inevitable consequences but they waited until someone was killed before opening the Vernon Place bus lane to bicycles. How can someone with such a record be allowed to be in charge of a tipper lorry and drive in busy London streets, mingling with people on bicycles? This is a system failure of such enormity that goes well beyond the behaviour of a rogue driver. Who gave the keys of the lorry to Meyer? What steps are in place to prevent someone without a licence to operate a commercial vehicle? Why is someone with Meyer’s record not banned from the haulage industry? Can you imagine a GP with a similar record allowed to practice? What investigation has HSE undertaken? HSE infamously refuses to investigate corporate misbehaviour on public roads, but Meyer must have operated on corporate sites as well, endangering the lives of other workers. Why is TfL’s CLOCS scheme voluntary in an industry notoriously plagued by rogue traders? Why is Camden Council not addressing the Holborn gyratory with urgency, in spite of five people being killed while riding their bicycles here? The Judge will be sentencing Meyer next month, and has warned him that he faces a jail term; we all know how inadequate the maximum terms for Causing Death by Careless Driving are and how ludicrous the rules are that stipulate that he can expend his driving ban while sitting in jail. However this is a case of catastrophic regulatory failure, well beyond the inadequacies of the Justice System. We will probing the authorities with our questions, until we see a wholesale change of attitudes on how to deal with traffic violence. UPDATE: The London Cycling Campaign has written to Nick Denton, Traffic Commissioner, asking him to revoke AJ Drummond’s licence. Police forces are the ultimate subject for studying organisational pathology. One approach is to do a survey across countries through experience, such as the one undertaken by Paul Salopek on a slow journey across the world. He recognises however that as a white traveller he seldom falls in what the local police perceive as a member of a dangerous out-group. Let’s look at the average police recruit. Police forces never recruit outside managers, so everyone at the top has started as a recruit and has risen up. If one looks at the bell curve of IQ scores of high school graduates, it is likely that most of the police recruits will be coming from the left hand side. Police work of course it’s not just about being a Sherlock Holmes, it should be primarily about preventing crime, a job for which emotional intelligence is a necessary skill. But even in this case, graduates on the right hand side of the bell curve are likely to be attracted to other jobs, where they will assume their skills will be better appreciated, such as in social services, NGOs, the medical sector, etc. Similarly, with so many opportunities in other industries it is unlikely that young people with creative skills are attracted by a career in the police force. So what attracts many of the police recruits? Important factors are a job for life, being part of an organisation that demands respect, fighting the “bad guys”. Once a recruit is inside the organisation, s/he soon realises that the organisation is mired with corruption and inefficiency, but as long as s/he plays the game, s/he will be all right. Remember that the police doesn’t recruit outside managers, so everyone at the top has thrived throughout their career in a climate of corruption and inefficiency. Recruits also soon find out that the police not only have legal monopoly of violence but also are blessed with impunity; essentially they can get away with anything, even murder. This impunity is bestowed to them by the ruling class, to which the police is fully subservient. To summarise, the police is a powerful organisation, holding monopoly of violence, serving the ruling class, staffed by dim, dull people, and mired with corruption and inefficiency. If you are a member of one of society’s outgroups, e.g. a young black male, a European, or someone who doesn’t use cars, the police is no friend of yours; either you accept your lower status or if you dare protest you will get clobbered. If you represent an outgroup, there is little point appealing to common sense. The police understands two things: power and money. I suspect most campaigners will not be willing to bribe the local cops to enforce a 30 kph speed limit. So how do road safety campaigners change police attitudes so that they start to take traffic violence, the number one reason of violent killing in the country, seriously? By gaining power. Traffic violence is indiscriminate. The victims are not just members of an out group. Sooner or later everyone is touched by the daily massacre. That is why we highlight the stories behind the figures; the human lives suddenly cut short by killers. 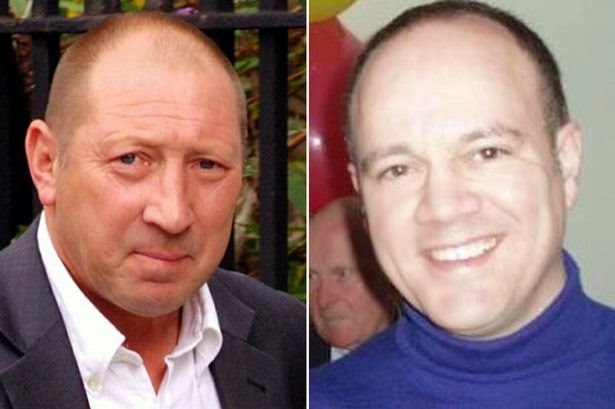 We expect that soon a national wave of revulsion and shame will force the police to deal appropriately with criminals who kill and leave the scene of the crime; who kill cyclists from behind and claim that they were invisible, or who, like Martin Low, Westminster’s Transport supremo, refuse to lower the speed limit in the centre of town. P.S. When one generalises, inevitably the honest are tarred by the sins of the majority. I want to mention Simon Wickenden, in the Traffic Management Unit, who has impressed us with his integrity and thoroughness in investigating the circumstances surrounding traffic collisions.